Honda has introduced four years free servicing and roadside assistance on a range of models - the CR-Z, Insight and British-built Jazz (excluding Jazz Hybrid), Civic and CR-V until the end of September. Along with the free servicing and roadside assistance is a range of four year finance options designed to bring down the cost of a new Honda into lower monthly payments. 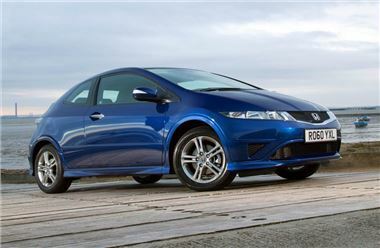 A four year 0 per cent HP means a customer can drive away a new Jazz for only £117 per month or a Civic for £162. "This this is another example of how we’re always listening to our customers and responding with products and offers that are relevant. To drive away a Jazz for only £117 a month without the worry of the cost of servicing and roadside assistance for four years really shows we have our customer’s needs and concerns at the front of our minds," says Honda's marketing. On top of these offers, customers looking to purchase a Civic can snap up a 1.4 Type S for the reduced price of £12,995 – saving over £2,000. The results of the respected 2011 JD Power Vehicle Ownership Satisfaction Study are further proof of Honda’s bullet-proof reliability and excellent customer service. Honda retained the number two spot in the manufacturer league table with Jazz celebrating its eighth consecutive win in the Supermini class. For the second year running Accord topped the chart in the family car category, while both Civic and CR-V were ranked second in their own respective classes.